"She is very conscious of how you are feeling and if you're in any pain." "She actually has videos that explains what she's going to be doing for every process... I thought it was great"
"Nothing has disappointed me and she's exceeded my expectations"
We proudly provide quality and affordable dental services to patients. Our comprehensive care always yields fantastic results. Whether you need a simple root canal or a complex full mouth reconstruction, Dr. Shen can manage all your dental needs with great results. Dr. Shen Offers Comprehensive, Quality Dental Care at a Competitive Price. All Of Your Dental Needs Under One Roof! We Accept Major Medical PPO Insurances & Medicare, Which May Cover Many of the Procedures. 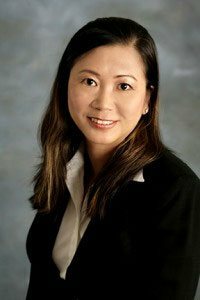 Dr. Donian Shen graduated from the University of California, Berkeley with a Bachelor of Science in Biochemistry and earned her Doctorate of Dental Surgery degree from the University of California, Los Angeles School of Dentistry. She attained additional training at the VA Palo Alto Hospital, and she continues to work at the Valley Medical Center. Dr. Shen owns and operates a private practice in Mountain View. To ensure patients receive the best care possible, Dr. Shen has completed post-graduate courses in a variety of specialty fields, including oral conscious and IV sedation dentistry and implant dentistry. Her advanced skills, dedication to results, and compassionate approach have made her one of the most sought-after dentists in the Bay Area. 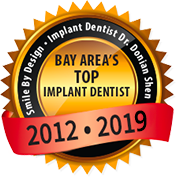 Dr. Donian Shen is recognized as a highly regarded cosmetic dentist in Mountain View, specializing in creating stunning, bright smiles. Renowned for her technical expertise and compassionate patient care, Dr. Shen attracts numerous cosmetic dentistry patients each year. In order to provide each patient seeking a smile makeover with the finest results possible, Dr. Shen offers an extensive array of cosmetic dental procedures. Dental implants are used as a replacement for missing teeth. Whether you are missing one tooth or all of your teeth, Dr. Shen can replace your missing teeth using the most state of the art lasers and implants available today. Teeth can be attached to dental implants so the result is not only comfortable but looks great too! The average adult mouth is made to hold 28 teeth, but by the age of 18 most individuals will have 32. The extra teeth are the third molars, often called the “wisdom teeth.” They, like the other molars, were designed to help grind up food before swallowing. Since there is often not enough space for the third molars when they erupt, they can cause pain, chewing problems, and crowding of other teeth. Other concerns can also develop, even in the event an individual has room in their mouth for the wisdom teeth. Although not everyone needs these teeth removed, it is important to have them evaluated to determine if they should be extracted. We offer both IV sedation and oral sedation options to help you experience a calmer, more comfortable dental visit. IV sedation is often known as sleep dentistry, and this technique involves administering medicine intravenously through the vein. Oral sedation is often referred to as relaxation dentistry, and this method involves taking sedative medication by mouth or having it placed under the tongue to dissolve. Both approaches are designed to alleviate anxiety before a dental procedure and allow Dr. Shen to work more effectively. Your care is our highest priority, and if you experience dental anxiety and fear, sedation may be the solution for you. Same Day Dental Emergency Appointments Available! Dr. Donian Shen is a Leading Dental Implant Dentist. I lived in Antioch and I took me quite long time to go to Dr. Shen’s clinic if you know the fact that the higher way 4 (from Hillcrest to Somersville) is the most congested route in bayarea and ranked 27th in US as I heard from KGO this morning. Anyway, my three kids are happy to visit her office instead of two clinics we visited close to our home. Do not ask me why and they just be happy with her and we just booked another appoint in the coming spring break. I was introduced by my friend to Dr. Shen’s dental office two years before. There is one tooth was in very bad situation, I asked several dental offices they gave me same suggestion that was remove away. I fortunately got in Dr. Shen office, she was so skillful and took three times office visit, made my this bad tooth got survived. I am really very satisfy with Dr Shen and her office. I fell and slammed my tooth into the concrete, I was terrified of losing my tooth, blood was flowing. Yuck! Dr. Shen fit me in as emergency, and stabilized my tooth. As a result of Dr. Shen’s extreme efforts I was able to save my tooth! I highly recommend Dr. Shen!